We develop advanced WordPress themes and plugins for e-commerce sites, portfolios, corporates, blogs, and communities, and we are among the top sellers of Themeforest, the biggest templates, and web applications marketplace worldwide. Our planning philosophy is based on the simplicity of clean lines, balanced spaces and always actual chromatic combinations for a modern appearance that enhances the contents. Luckily, most of our users (designers, developers, artists, photographers, bloggers, entrepreneurs, etc.) appreciate our style. And most of the times is love at first sight. A glance is enough to understand how we work. This fact allowed us to grow and increase our start-up project with a stronger team. In 2012, we decided to join forces with a group of international partners and give life to Your Inspiration Themes, a new and different WordPress themes marketplace. Because it is the only one offering a free version of each premium theme available in the catalog. The possibility to download the theme for free, install it and use it, helps our customers to choose the one that better satisfies their needs. Later, they will be free to purchase the premium version of the theme they prefer. 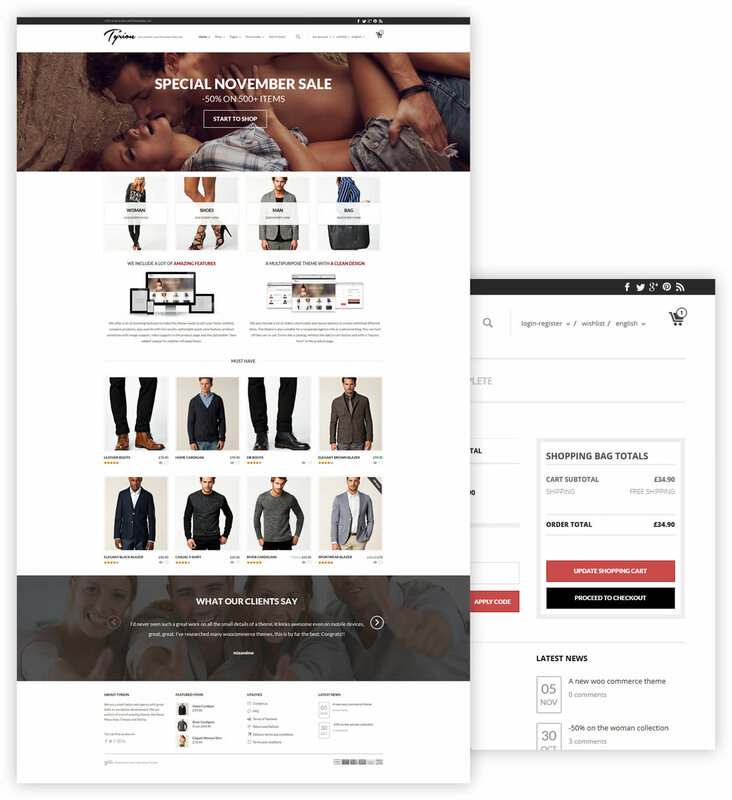 Tyrion is a tasteful and versatile e-commerce theme, with a parallax slider and a clean and engaging design. Tyrion is available on Themeforest, where he counts more than 1000 sales. 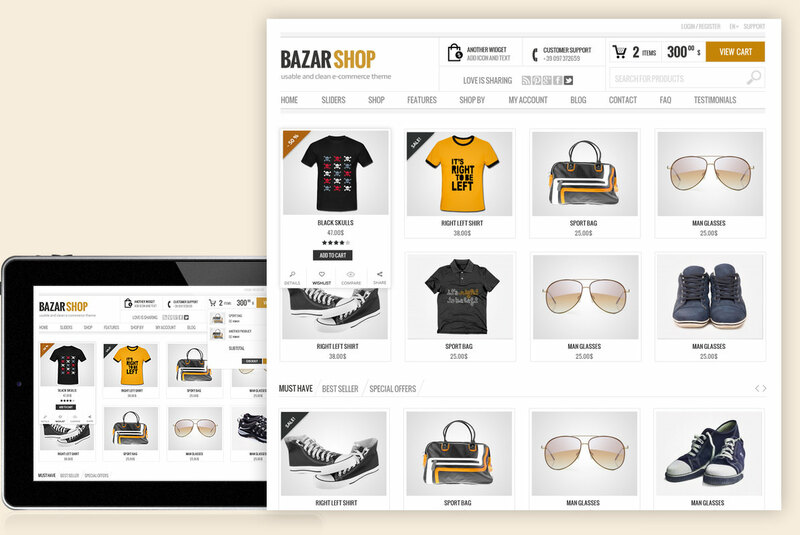 Lively and creative, Bazar is a successful e-commerce theme. It has been developed to work with WooCommerce and it is available on Themeforest, where he counts more than 7500 sales. The Jewerly Shop represents a luxurious and graceful theme, an explosive mix of good graphics, thousands of layout options, and many features to customize your site. A must-have product if you want to make the difference. You can find it on YiThemes.com, where he counts more than 120 sales in about two months.